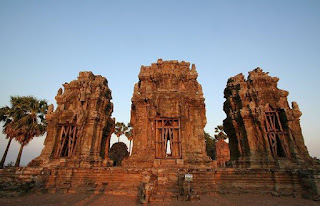 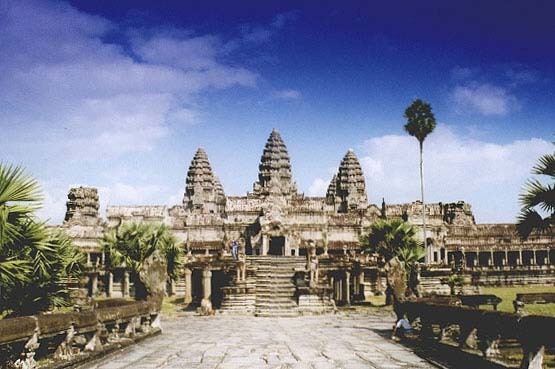 - Departure from Phnom Penh at 6:45 AM arrive Siem Reap around 11:30 AM, lunch time for 1 hour then start around 12:30 PM to visit: Angkor Wat, Angkor Thom, Bayon, Ta Prohm and Srah Srang and after that about 3:30 AM departure from Siem Reap to Phnom Penh. 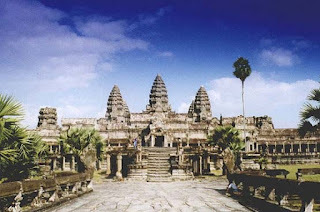 - Departure from Phnom Penh at 8:30 AM arrive Siem Reap around 1:00 PM, check in hotel then you get lunch time and then visit Culture Village or do shopping. 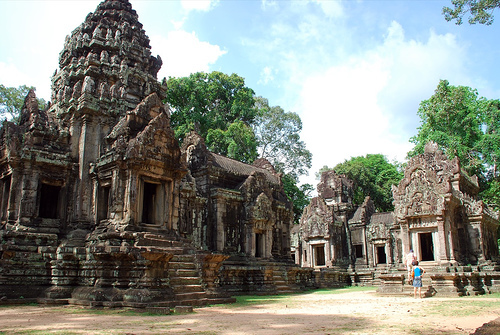 Day 2, after your breakfast to visit Angkor Wat, Angkor Thom, Bayon, Ta Keo, Ta Prohm and Srah Srang, Banteay Kdey, Kravan and Phnom Bakeng. 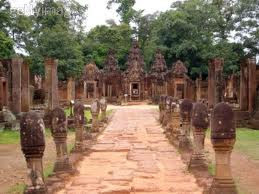 Around 2:30 PM departure from Siem Reap to Phnom Penh. 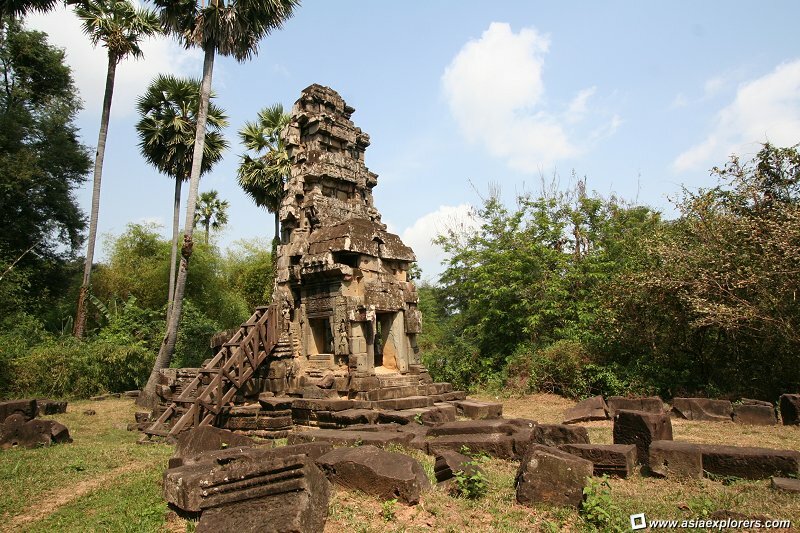 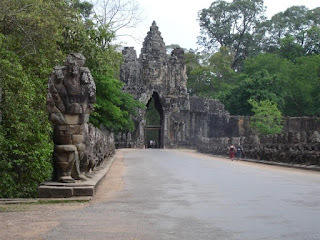 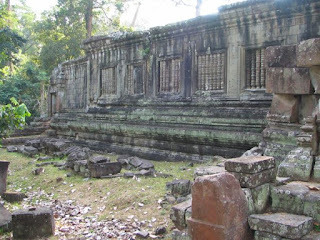 - Day 3 visit Preah Khan, Neak Pean, Ta Som, East Mebon and Pre Rup. Around 2:30 PM departure from Siem Reap to Phnom Penh. 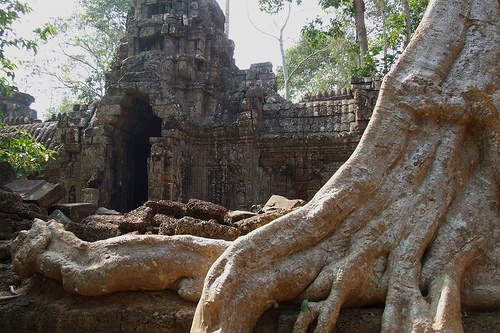 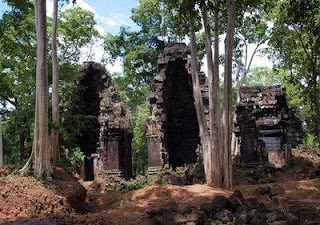 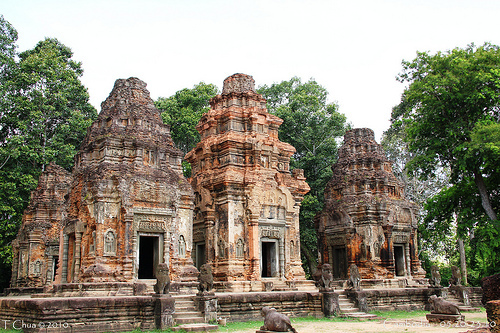 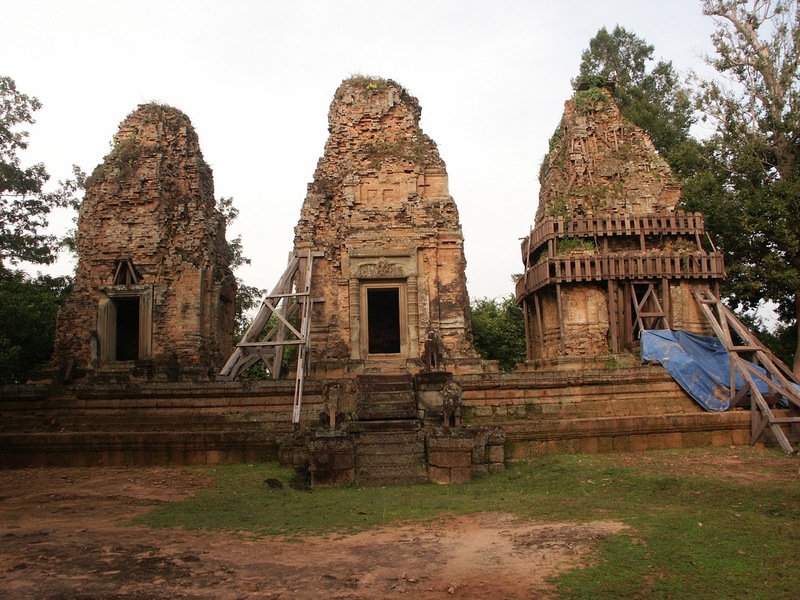 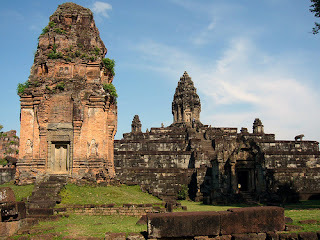 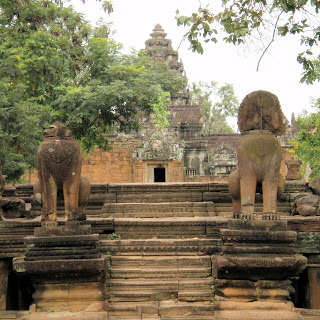 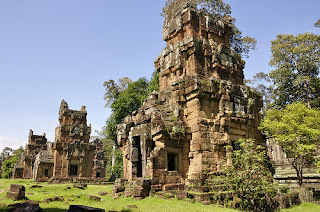 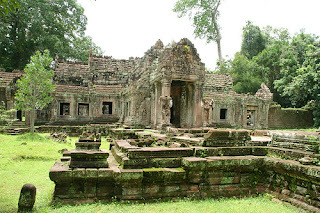 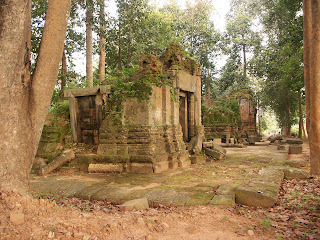 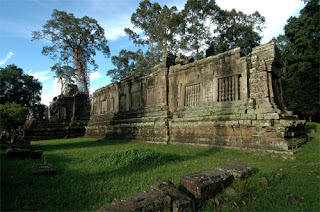 - Day 4 to visit Rolous Group, Banteay Samre, Banteay Srey, Kbal Spean and Phnom Kulen. 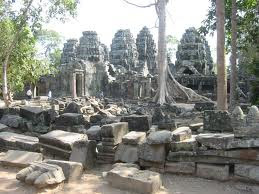 Around 2:30 PM departure from Siem Reap to Phnom Penh. 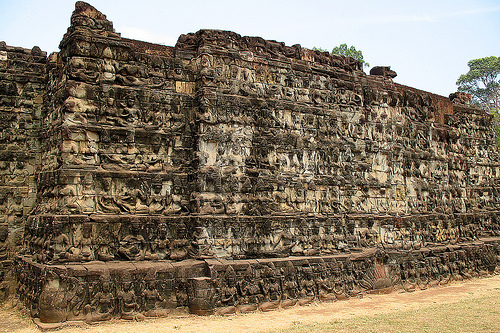 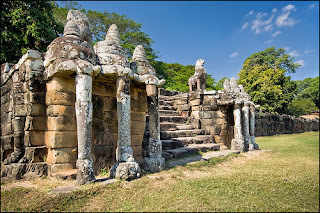 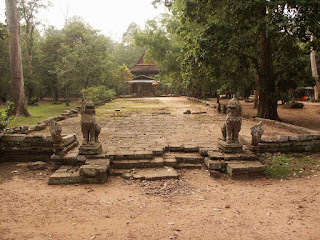 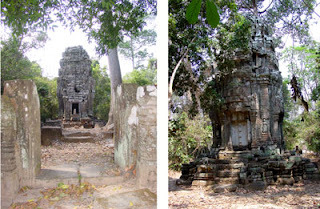 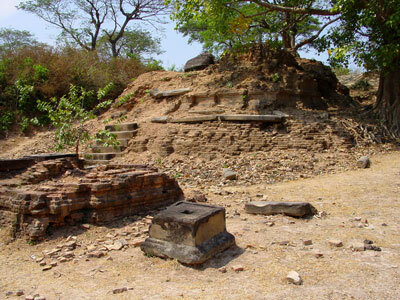 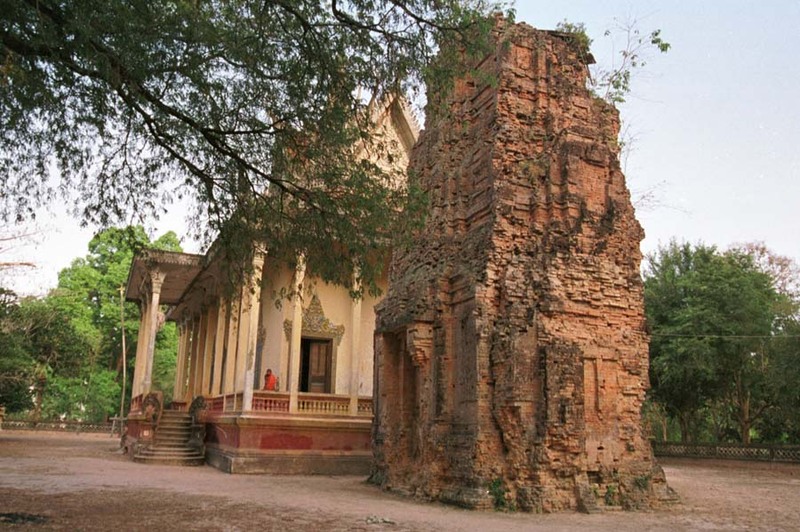 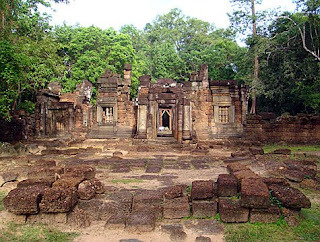 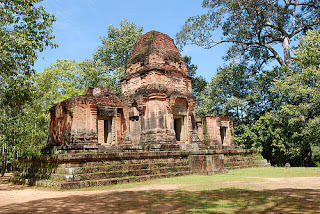 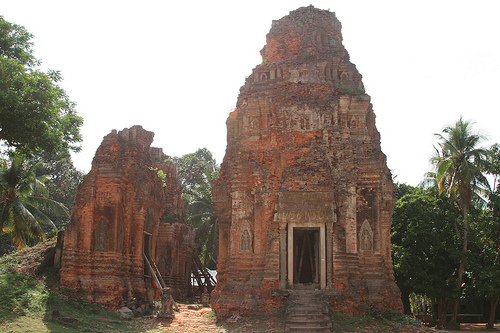 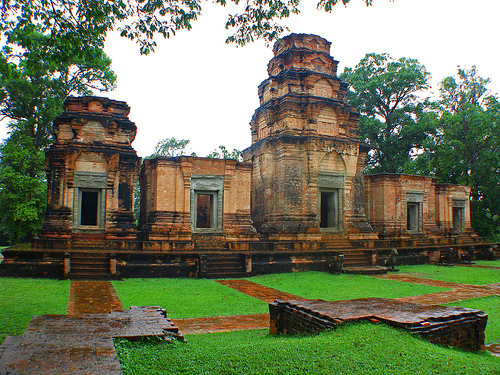 - Day 5 to visit Koh Ke and Boeung Mealea. Around 2:30 PM departure from Siem Reap to Phnom Penh. 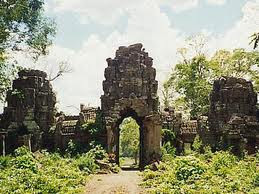 - Exclusion entrance fee, English guide, accommodation, lunch, dinner and self expend. 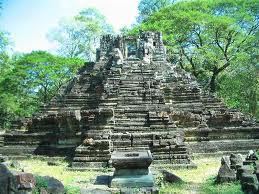 - If you would like hotel plus $25 per room (for 2 people) include breakfast, WiFi and with Swimming Pool. 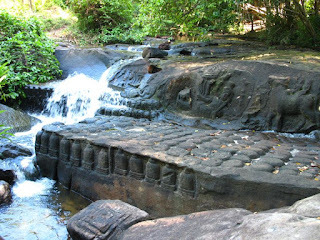 Kbal Spean means "bridge head", is an Angkorian era site on the southwest slopes of the Kulen Hills in Cambodia, 25km from the main Angkor group. More commonly referred to in English as the "River of a Thousand Lingas"
Constructed: 9th century C.E; King/Patron: Jayavarman II; Religion: Hindu; Style: Phnom Kulen. 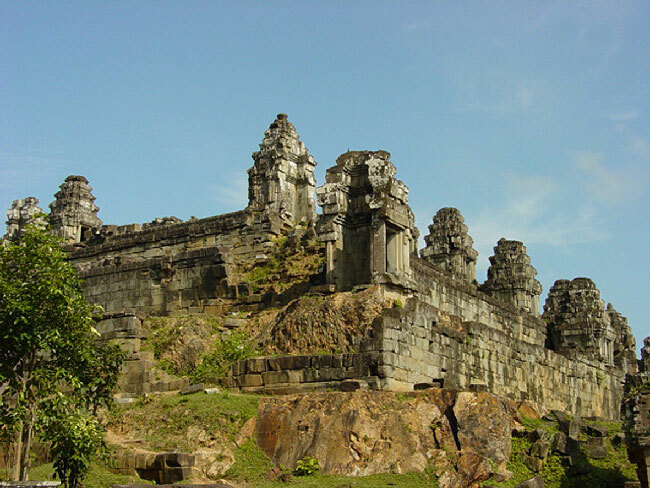 Constructed: Early 12th century C.E; King/Patron Suryavarman II; Religion: Hindu; Style: Angkor Wat. 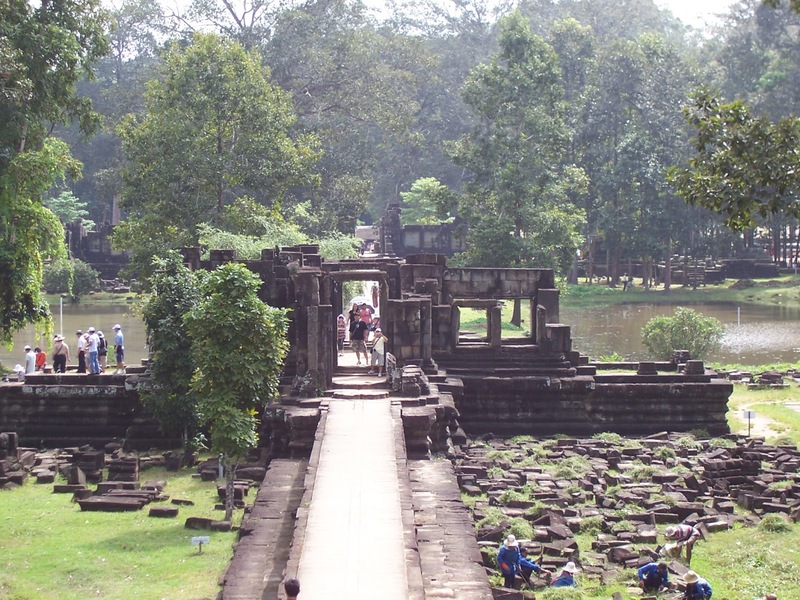 Spean Thma literally translates to 'Stone Bridge'. Remnants of an ancient bridge over the Siem Reap River. 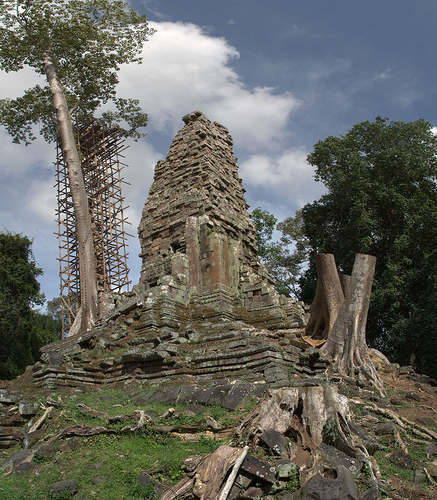 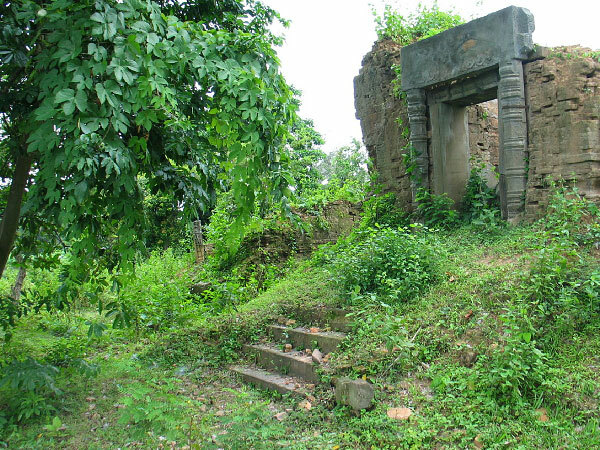 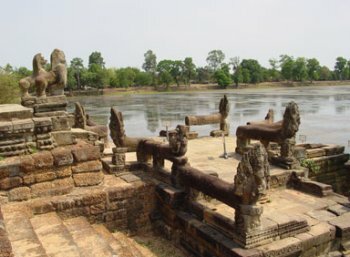 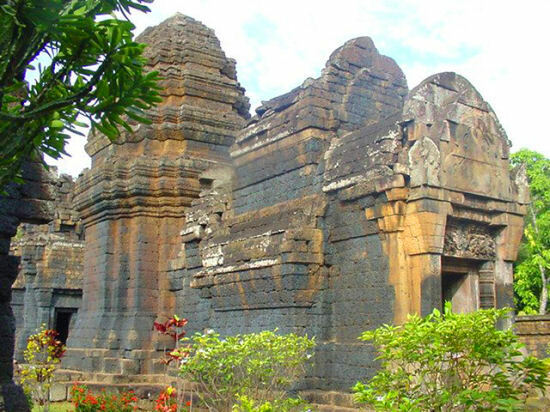 Srah Srang is located of the East Baray and east of Banteay Kdei, measuring 800m by 400m. 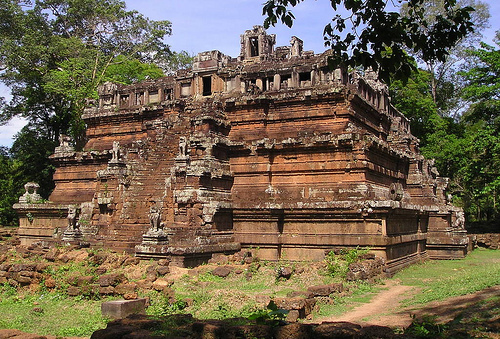 It was constructed in the mid-10th century, and modified in the 12th or 13th century. 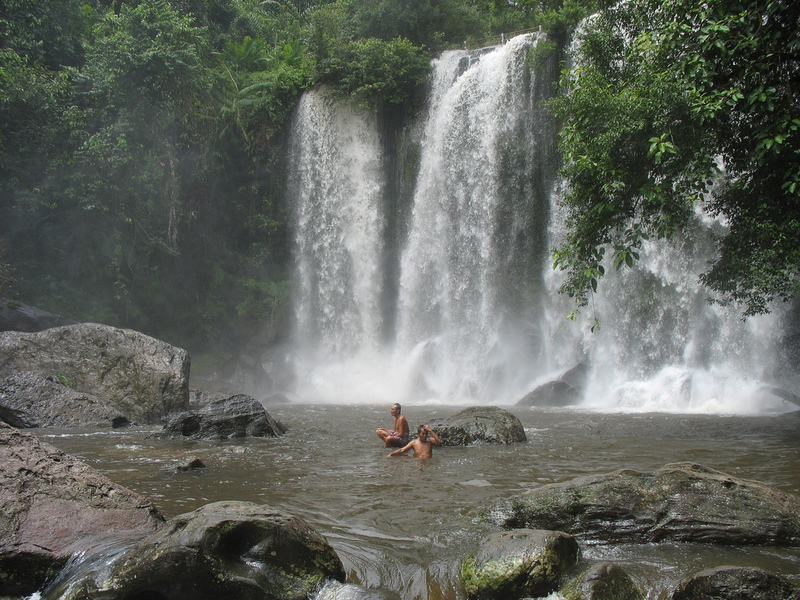 This is a beautiful body of water from which to take in a quiet sunrise. Constructed: Late 10th century C.E. 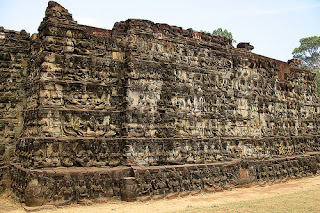 ; King/Patron: Jayavarman V; Religion: Hindu (Shiva); Style: Khleang. Constructed: Mid 12th century C.E. 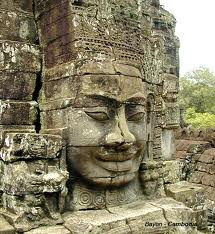 ; King/Patron: Jayavarman VII; Religion: Buddhist, Style: Bayon. 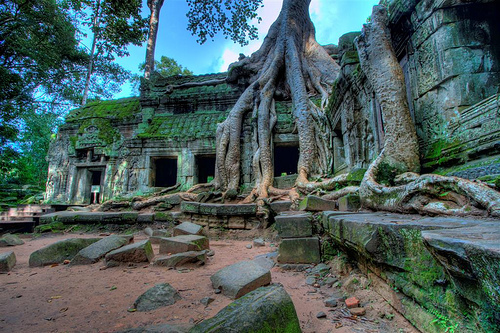 Ta Prohm is the modern name of a temple, built in the Bayon style largely in the late 12th and early 13th centuries and originally called Rajavihara. It is a temple of towers, close courtyard and narrow corridors. 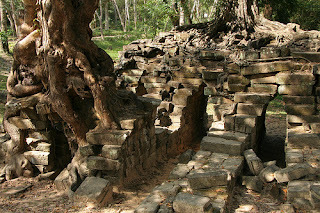 Many of corridors are impassable, clogged with jumbled piles delicately carved stone blocks dislodged by the roofs of long decayed tress. 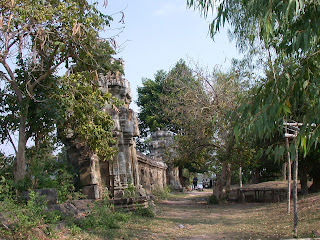 Constructed: Late 12th century C.E. 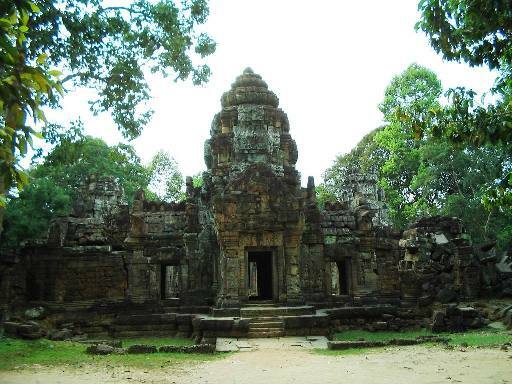 ; King/Patron: Jayavarman VII; Religion: Buddhist; Style: Bayon. 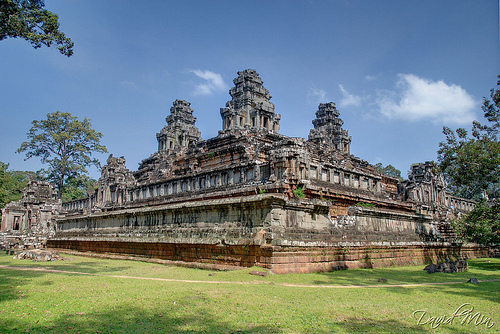 Constructed: Late 9th century C.E. 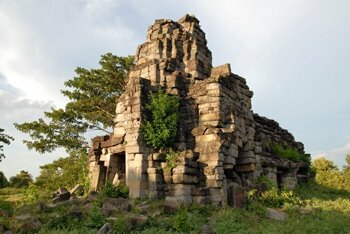 ; King/Patron: Yasovarman; Religion Buddhist; Style: Mixed. Constructed: Early 10th century C.E. 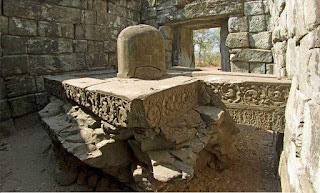 ; King/Patron: Yasovarman I; Religion: Hindu (Shiva); Style: Bakheng. Constructed: Late 11th - Early 12th century C.E. 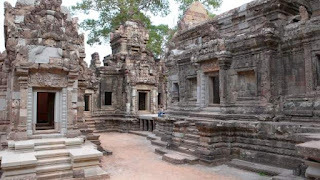 ; King/Patron: Suryavarman II; Religion: Hindu; Style Angkor Wat. 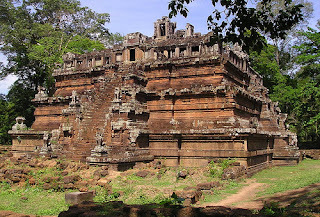 Constructed: Late 11th century C.E. ; King/Patron: Suryavarman II; Religion: Hindu; Style Angkor Wat. Constructed: Late 11th century C.E. 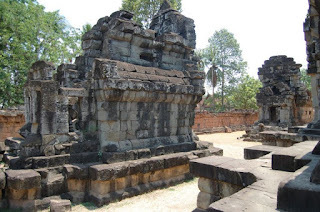 ; King/Patron: Udayadityavarman VII, Religion: Hindu (Vishnu); Style: Baphuon. Angkor Thom was built by Angkor's greatest king, Jayavarman VII (1181-1219), was established as the capital of Khmer empire. 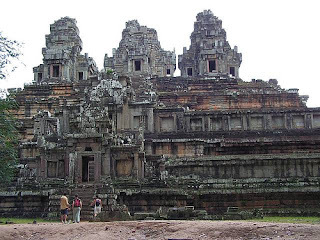 Angkor Wat was built in the early 12th century in the reign of Suryavarman II. 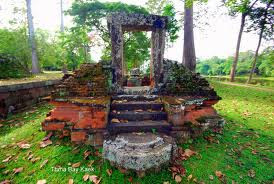 It took 30 years to complete. 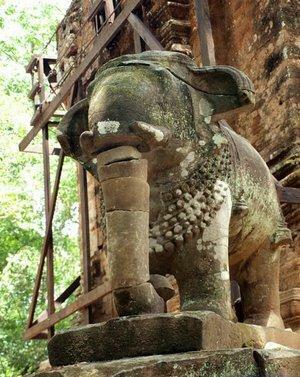 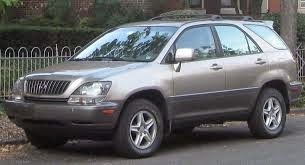 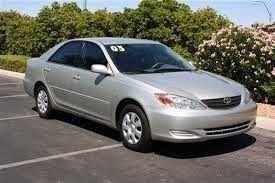 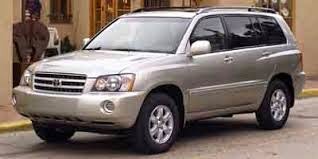 It honors Vishnu, the Hindu deity. 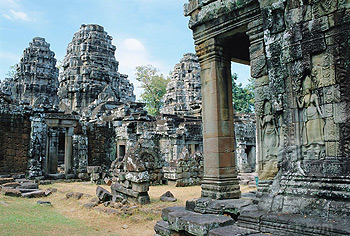 Bayon was built in the latest 12th or early 13th century, during in the reign of the king Jayavarman VII. It stands in the midst of Angkor Thom. 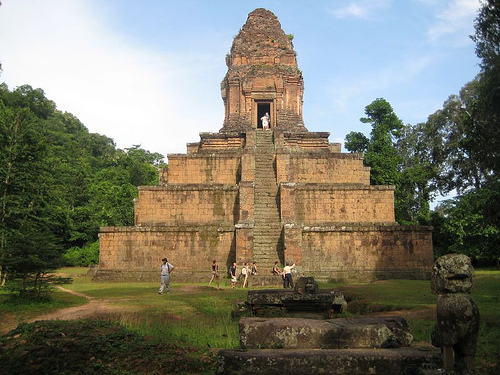 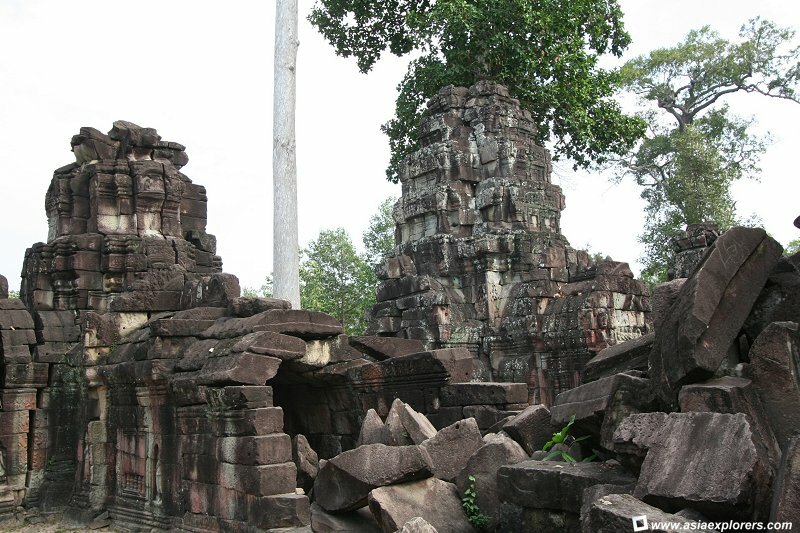 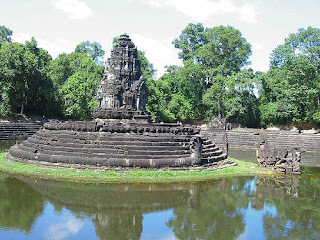 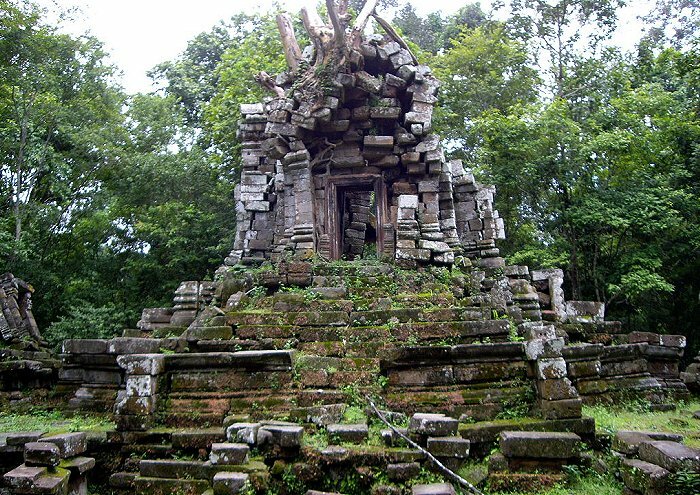 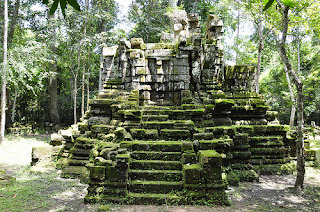 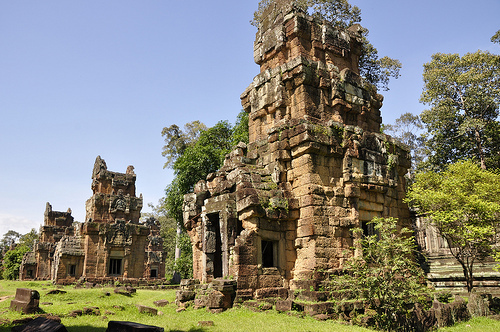 Around 400 south of Angkor Thom, is a Hindu temple in the form of Temple Mountain. 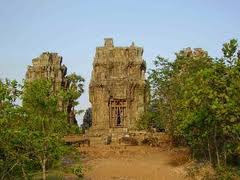 Dedicate to Sheva, it was built at the end of the 9th century, during the reign of king Yasovarman I (889-910 AD). Phnom Bakheng is nowadays a popular tourist spot for sunset view of much bigger temple Angkor Wat, which lies amid the jungle about 1.5km to the southeast.